2006 Washington Ironman Bodybuilding, Figure & Fitness Competition Review & Results! 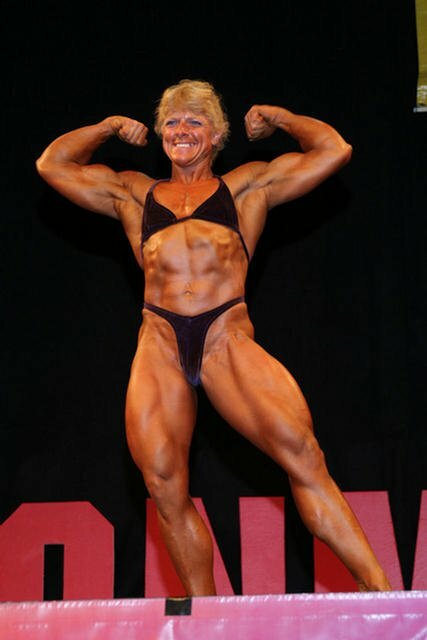 2006 Washigton Ironman Bodybuilding, Figure & Fitness Competition. Get the latest results and pictures from the competion right here. Check it out! 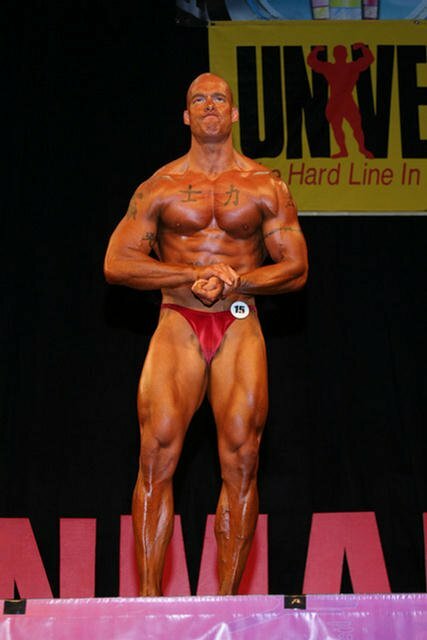 The 2006 Bodybuiling.com Washington Ironman promised and delivered the best. This yearâ€™s event, once again held at Bellevueâ€™s Meyedenbaur Center boasted one hundred and thirteen competitors and a host of top guest performers. Kicking off the show was a 9 - 11 tribute by the New Beginnings Praise & Dance Team fronted by hometown hero and poser extraordinaire David Patterson. The performance brought the capacity crowd of fifteen hundred to their feet. By the time Elaine Patterson finished her soulful rendition of America the Beautiful there wasnâ€™t a dry eye in the house. 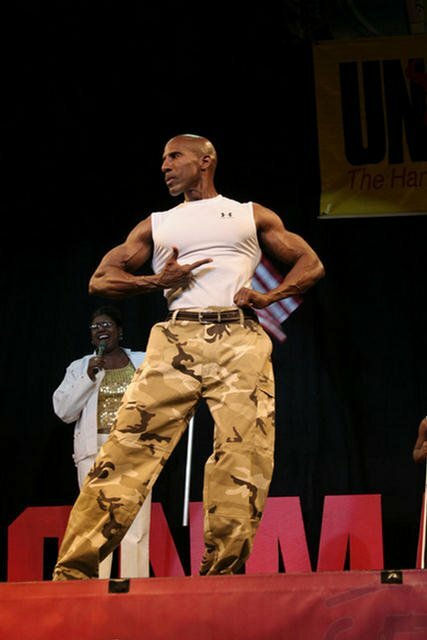 Heavy weight competitor, Pastor Ken Ralston then gave an opening prayer for the armed forces service men and women, the victims of 911 and the competitors in the show. 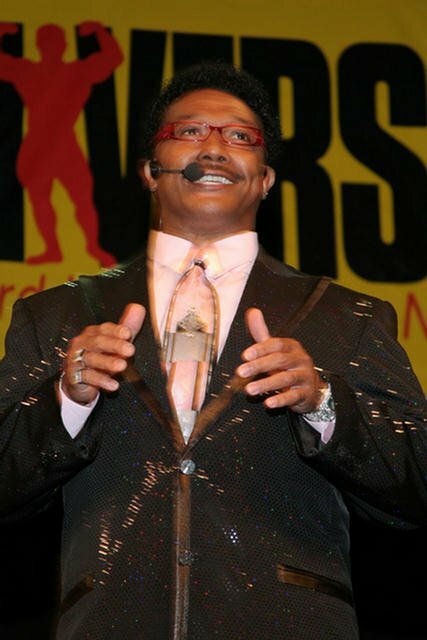 It took the wisecracking antics of MC Kim â€œKongâ€� Farrison to get the spectators back to the mood for some of the hardest fought muscle wars seen in the Northwest in quite a while. And that is saying a lot. Fitness competitor Tanya Pater was the sole contestant in the division. That is probably for the best for the no shows. She was nearly untouchable. Her physique was in perfect accordance with the new NPC guidelines on womenâ€™s fitness and figure. Her routine was powerful and fast paced with just the right mix of strength, flexibility and dance moves to keep it exciting throughout. Sleek physiques and dazzling one and two - piece suits dominated the figure divisions. Team Evolutionâ€™s Genie Markwell continues to improve her body and her presentation with each show. Sherry Smith came all the way from Anchorage, Alaska to thwart Markwellâ€™s bid for the top notch in the Figure A class. Genie Markwell & Sherry Smith. The Figure B class first place was claimed by Fitness winner Tanya Pater. Tanyaâ€™s momentum was too much for recent Northern Classic overall winner Sharon Falcon. Falcon had to be satisfied with a close second and the indomitable Susie Hoverson took third. The redhead darling of Vancouver, Washington, Amanda LaPore, traveled north to win the first place award in the Figure C class. Newcomers Kris Isakson presented herself well and placed second with Michelle Landreth of Kennewick third. There were several stand-outs in the Figure D class. An obvious one was the future overall winner, Julie Alves. Julie had her work cut out for her with an Andre â€œBam Bamâ€� Scott protÃ©gÃ©, Melissa Yerdon giving her quite a challenge and third place winner Jennifer Kristiansen making a strong showing as well. The Figure Over 35 class was nothing to overlook. Many of the ladies could have done well in the open classes. Winner Austine Powell carried herself with the elegance of seasoned competitor. It was hard to believe it was her first show. Second place Bonnie Hobson bound across the stage like she owned it. Her audience response was one of the best of the evening. Alaskan Debbie Fowler came all the way from the far north. She returned happy with her third place trophy. 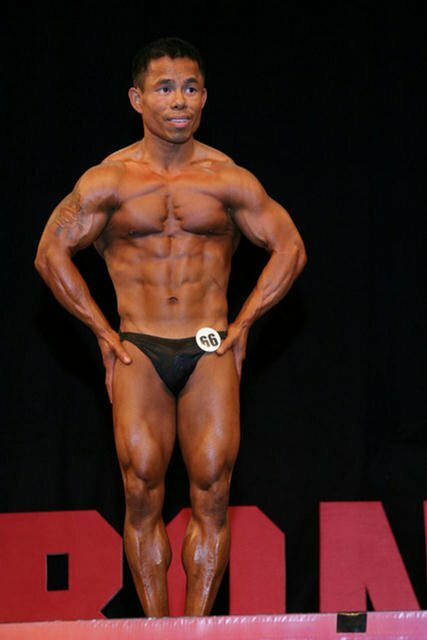 The Novice Classes showed what the future look like in Northwest bodybuilding. Tyson Wentz won the lightweight class, Mike Clark won the middleweight and the overall, and Dustin Knight the heavyweight. Brandon Dubisar, Jesse Disch, Kevin Scott, and Cornelius Giusca are just of few of the up-and-comers to keep an eye out for. Cornelius Giusca was tied for first in the Heavy Weight Division with Dustin Knight and lost the tie breaker. Cornelius very easily could have won his class with his tall frame and great lines. Leslie Hilton was the sole competitor in the novice womenâ€™s lightweight class. Teresa Johnson took first in the Heavy Novice and Krista Moser placed second. Hilton posed well and edged out heavyweight winner Teresa Johnson for the overall. 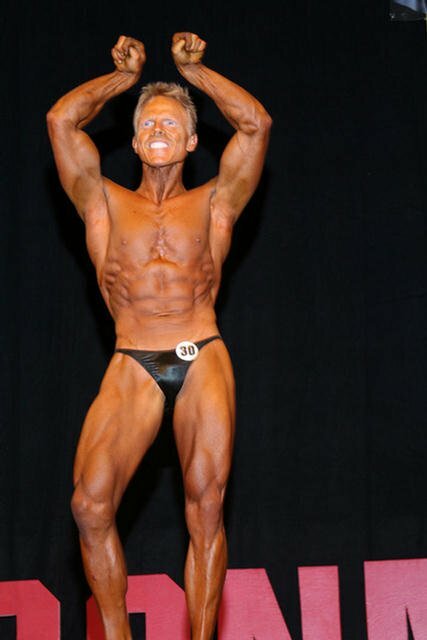 Masters Men Over 40 Winner Daniel Rutherford displayed a physique that was well balanced in both muscularity and definition. Rutherford tossed off two-dozen classic poses and left the stage a winner. Second place James Harris topped his nemesis John Shepard for the second time in two months. Shepard won the division the year before. In the Masters Men Over 50 the wild man was back. 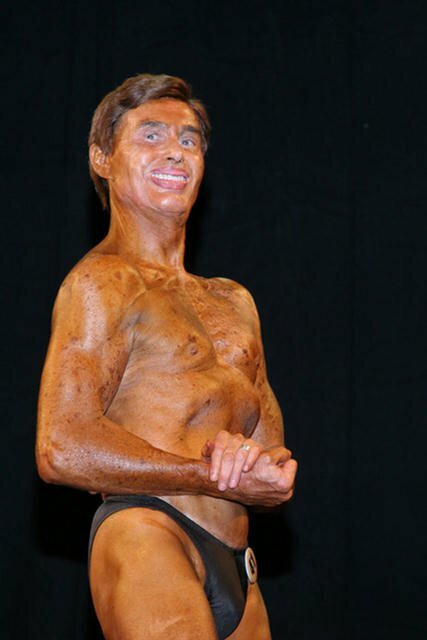 Michael Cavaiani was unopposed in his class and in his high octane, over the top posing routine. Mike is a favorite of the fans, as he always seems to out do himself from his previous show. He puts a lot of thought and practice into his routines and they are always very entertaining. It was Walt Radkeâ€™s night in the masters over sixty. Walt continues to fine-tune his physique under the tutelage of Team Evolutionâ€™s Pete Grubbs. Hats off to fellow competitors Robert Mussehl, Thomas Nasky, and the man in chains, retired Lutheran Pastor, Paul Stone. 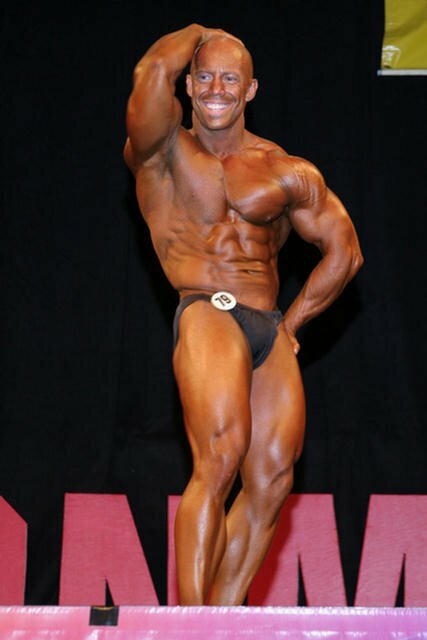 The â€œLittle Big Manâ€� Heath Warren guest posing routine followed the masters overall. Heath is in hard training for this yearâ€™s NPC Nationals. He gave the crowd a taste of what he will be bringing to Miami. â€œLittle Big Manâ€� Heath Warren. The Masters Women Over 35 kicked of the second half of the show. Renee Ummel came ready to take on all comers. She was rock hard and shredded. Her only competition was that mighty gal from Marysville, Carmen Peddy. Ummel won the class but judging from their spirited presentations both ladies had a great time. Junior Men winner Rory Cosgrove had his posing routine down. Coming from Port Orchad to defeat the likes of Scott Hoffman and Marv Saura, Cosgrove really got the fans buzzing again. IFBB fitness pro Tanji Johnson brought out the stars with her guest performance. The Connect All-Stars that is. The Connect All-Stars are the cream of the crop of cheer squads from around the area. Their collaboration with Tanji was something to behold and nearly impossible to describe. The crowd went crazy for their high energy routine that ended with Tanji being tossed up into the air into an overhead lift, twenty feet above the Ironman crowd. Tanji Johnson & Connect All-Stars Cheer Squad. Team Evolutionâ€™s Cindy Goodrich came on like gangbusters during her open women bodybuilding free posing routine. Cindy has made some great improvements in build since she moved from the figure division in to bodybuilding. I think 2007 is going to be a big year for her. The Open Women Middleweight winner Mary Morrison is another competitor whose persistence has paid off well. Last yearâ€™s Overall Ironman Novice Champion Jenifer Erickson placed a strong second. Open Heavyweight winner, Audra Kimsey, finally got her due. She has been training hard and competing regularly in the Northwest. She came to Bellevue harder then I have seen her in recent past. Her efforts were rewarded with the overall womenâ€™s Ironman sword. On a side note, Audra also holds a world record in the deadlift. Tina Wortheyâ€™s eclectic free posing was well received as was East Wenatcheeâ€™s favorite daughter, Patrica Card. Tina Worthey (left), Patrica Card (right). The brother and sister team of Mark Thacker and Renee Ummel came out in the mixed pairs competition, recreating the fall of man from the Garden of Eden. Making a surprise appearance during the routine was the Devil Himself, Tony Ruggeiro. When looking for a person to play the Devil, Tonyâ€™s name was brought up. Tony was quoted as saying, â€œThis role was made for meâ€�. See the photos for more info. Mark Thacker and Renee Ummel. Roland Kickinger came out and posed in the Bantam Weight Division. At 6 - 05, Roland is by far the worldâ€™s tallest Bantam competitor. Roland has a great sense of humor and was very gracious to all he encountered. Roland was provided by Muscle & Fitness and Flex Magazines and has become a fixture at the Washington Ironman the past several years. It just wouldnâ€™t be quite the same show without Roland! 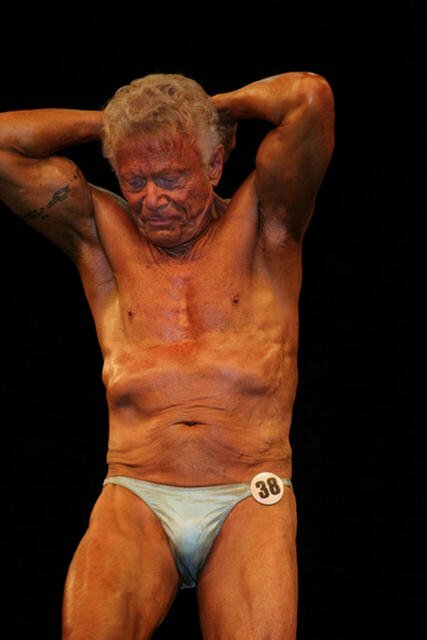 The open menâ€™s division showed what drug-free bodybuilding is all about. There were some phenomenal builds all carved the natural way with hard work and clean dieting. Bill Willyerd from the Fit Stop gym in Olympia won the Bantamweight class with a strong presentation. It was good to see second place winner Thoai Nguyen back after a five-year layoff. Thoai makes up for his height with some densely packed muscle. Shane Norton and Michael Leon-Guerro rounded out the class. The lightweight promised to be a hard fought battle. The fifty-three year old Northwest legend Henry Jung always comes ready to win. Mark Thacker, coming back after a couple year hiatus, is always a threat. And you can always count on Jerome Williams as a spoiler. All three posing routines were flawless. Each fan had their pick but there could only be one winner. The judging panel, headed by the â€œBig Blockâ€� John Tuman gave Mark Thacker the win over some very tough competition. 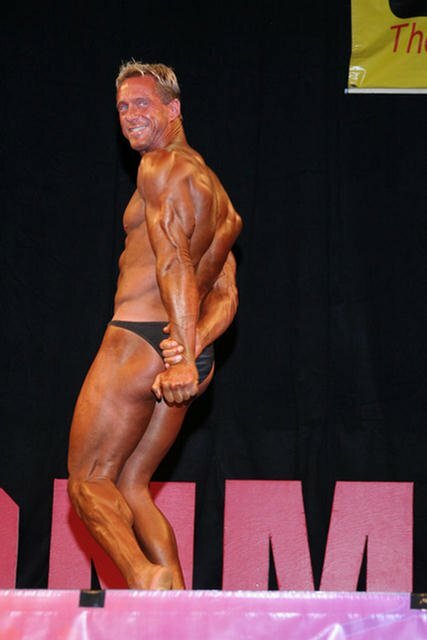 Mark said afterward that he was retiring from bodybuilding and that this was his swan song. Mark said that he wanted the Washington Ironman to be his last show. Middleweight winner Joe Pearson finally hit his peak at the right time. He has been close several time and finally pulled all together. It sounded like second place winner, Scott Hickman from the Kirkland Goldâ€™s Gym brought half the Eastside with him as a fan club. Pearson was probably the most balanced competitor in the whole show and one of the first athletes to be drug tested because he looked so good. The Big Dog from Hayden, Idaho, Eric Hess came ready to rumble in the light-heavies. He took that class with Anthony Bates in second and Scott Schaffer in third. Schaffer had one of the best posing routines of the evening and is always a force to be reckoned with. In the Heavy weight class it was Pastor Ken Ralston of Family Life Church who took the class with big Jon Warner placing second and patent attorney Mike Hughes in third. Pastor Ken came in very tight conditioning and was one of the favorites going into the Overall. 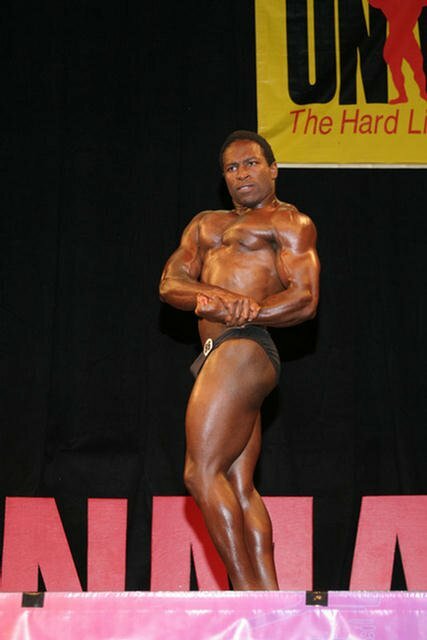 Before the Overall Judging, the audience was treated to a Christian posing routine by Olympia contender Troy Alves. Roland Kickinger took the microphone from the Dancing Emcee to introduce his good friend Troy Alves. Troy has a classic physique with a wide back, narrow waist and flowing lines reminiscent of Frank Zane. I think that everyone could look at Troy and say â€œI would love to look like thatâ€�! You canâ€™t say that about too many of todayâ€™s top bodybuilders who lose their shape as they strive to get bigger and bigger. Troy just has a pretty physique that doesnâ€™t turn people off. Troy is also one of the nicest pro bodybuilders in the sport and despite being two weeks away from the Olympia, was his normal friendly self to all the fans. Troy was also courtesy of Muscle and Fitness and Flex Magazines. The class winners were ready to rock and roll after Troyâ€™s inspiring routine. Who would the Overall winner be? Bill Willyerd in the Bantam? 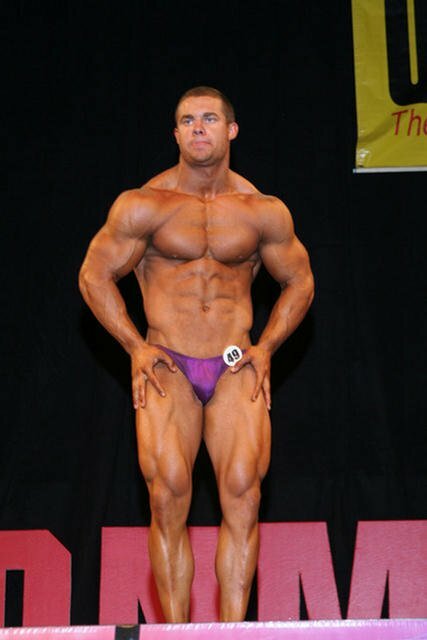 Mark Thacker with his shredded symmetrical physique in the Light? 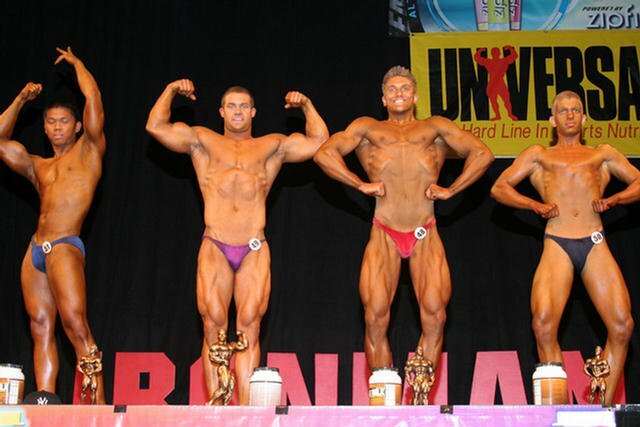 Joe Pearson with his balanced physique in the Middle? The â€œBig Dogâ€� Eric Hess in the Light Heavy or Pastor Ken Ralston in the Heavy? It seemed to be a battle between the Heavy Champion Pastor Ken and Lightweight winner Mark â€œThe Shredderâ€� Thacker. When the dust settled it was the Police Sergeant from Everett, Mark Thacker in the lightweight who took the Overall. Mark was ecstatic about his Overall Victory and said that the show could not have worked out any better for him. Mark said that he wanted the Ironman to be his final show with his sister Renee Ummel and to go out on top was extra special. There were also 32 exhibitor booths at the event including Bodybuilding.com, Universal Nutrition, Muscle & Fitness and Flex, Zipfizz, Pro Body Nutrition, OHS, MC Bodywear, LA Gymmees, Azteca, Desert Fire, Cookie Lee, XS Energy, Excellent Spirit and Body Bell Clothing. Azteca and the Desert Fire booths were serving free food all night to long lines of hungry fans. Emerald City Smoothie gave all competitors free smoothies during the show and sold full size smoothies for only $2.00 to everyone else. All competitors received a custom Ironman gym bag, a short sleeve from Bodybuilding.com, a long sleeved contest shirt from LA Gymmees, a Zipfizz sample bag and a yearâ€™s subscription to Ironman magazine for entering the show. 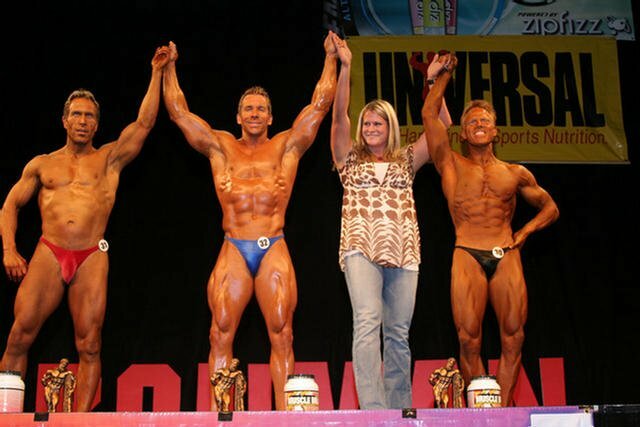 Cytosport provided a full 2.5 lb container of Muscle Milk for all of the Bodybuilding winners throughout the show, in first through fifth places. Zipfizz was giving out free samples of their energy drink at the Zipfizz Hummer and many other booths had free samples. Needless to say, no one went hungry at the show. 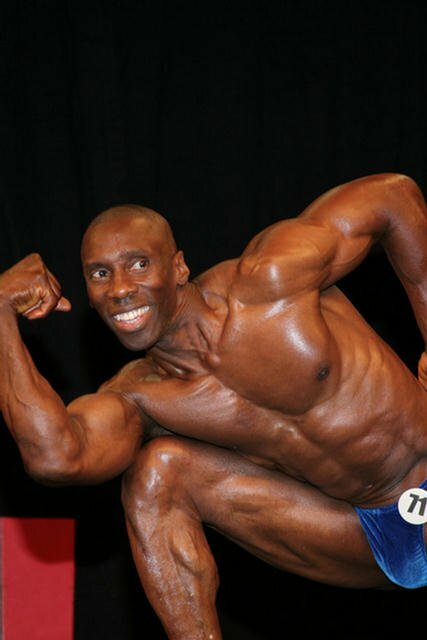 The 2006 Bodybuilding.com Washington Ironman is now one for the record books but will live on in the memories of many happy competitors. 2. Jesse Disch, Goldâ€™s Gym, Mill Creek, WA. 2. Corneliu Giusca, Klahanie Fit., North Bend, WA. 2. Sheron Falcon, 24 Hour Fitness, Kirkland, WA. 6. Shelly Bunday, Bellevue, WA.